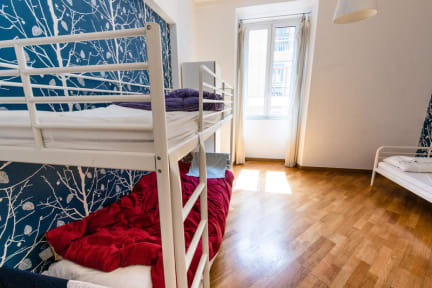 La Controra Hostel Rome kohteessa Rooma, Italia: Varaa nyt! Already been to the top rated La Controra Hostel in Naples? So you know you’re in good hands! Right behind Fellini's ''La Dolce Vita'' famous Via Veneto, La Controra will be your sweet home in Rome. A warm and peaceful getaway from the hustle and bustle of the Eternal City, as well as a perfect hub to discover its wonders. ROOMS - All our rooms are spacious, cozy, no-smoking, air conditioned, fitted with a flat-screen TV and have a private bathroom with shower, bidet and hairdryer. FREE – WiFi, maps, breakfast, towels, bed linen and a daily room cleaning are included! LOCATION – Less than 10 minutes walking from Termini Station (Rome's main railway station) and 4 minutes from the Repubblica metro stop, La Controra is also within walking distance from the city centre and its main sights and liveliest areas, while being in a very quiet and safe neighbourhood. You’ll be a 5-to-15 minutes pleasant walk far from the Trevi Fountain, Spanish Steps, Villa Borghese, Piazza Barberini (Metro). BUON APPETITO! - Ok, Rome is beautiful, sightseeing is great. But what about the food??! A fancy restaurant, a good pizzeria and two delicious café are just next door. Some of the best restaurants, pizzerie, wine bars and ice cream shops of the city are few steps away. Ask us, and we'll be more than happy to address you, keeping you away from tourist traps! Please note that La Controra Hostel does not have a 24-hours reception service. All check-ins before or after the regular check-in time must be requested and arranged with us at least TWO DAYS BEFORE the arrival date. City of Rome's Tourist Tax (EUR 3.50/person/day) is NOT included in the reservation total price. Payment is due upon arrival, by cash or credit cards.